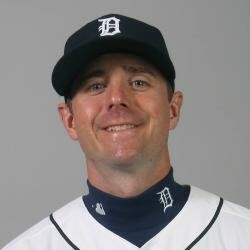 Josh Wilson got the promotion in place of Hernan Perez who was claimed by the Milwaukee Brewers. He has hit .291 in Toledo with no power. Hernan Perez was unable to get anything going during his sporadic playing time. Like Wilson, Perez was known for his glove, but still needed to do better than a .054 average and .080 BABIP. Josh Wilson, a 34 year-old vet offers no value in any realm of fantasy and will be a cheap daily punt for those trying to be sneaky in tournaments.